Today, Matt and Erin have so much to talk about in this episode. The multiple phone calls and people stopping by Erin's office can't stop the podcast. Lab members found a few soybean aphids in central and northeast Iowa. This is not too surprising because a few soybean aphids can usually be found in June. Populations are very low, but something to note as the field season continues. The first soybean aphids of the year were found in northeastern Iowa. Photo by Greg VanNostrand. The warm winter was helpful to those insects trying to overwinter in Iowa, particularly for bean leaf beetle. For the other crop in Iowa, corn rootworm egg hatch is peaking, stalk borers are moving to corn, and European corn borer egg hatch is also happening now. Then the conversation turned to millipedes - not a typical field crop pest. They talk about field conditions conducive to millipede injury, in addition to other emerging pests like slugs, snails and isopods. Finally, Matt reminded us Pollinator Fest is coming up at Reiman Gardens in Ames on June 25. Random fact: Millipedes are arthropods within the class Diplopoda. They are distant relatives to insects and arachnids. People who study millipedes are called diplopodologists. 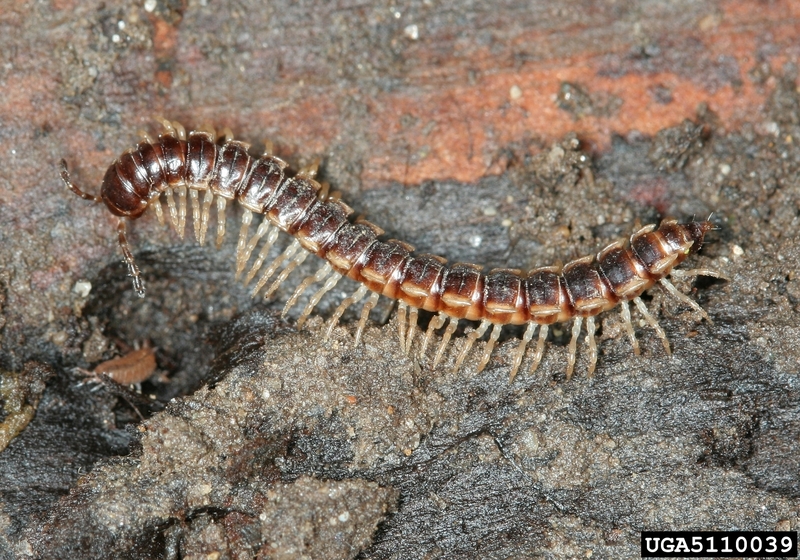 Millipede. Photo by David Cappaert, www.ipmimages.org. Mite we see a few soybean pests this summer? This podcast episode focuses on a few recent pest updates, like soybean aphid, twospotted spider mites, and a mix of defoliators. Matt talks about spider mite activity in some of his research plots and also in fields near Brookings, SD. Erin notes soybean aphid activity is down throughout Iowa and they both revisit the economic threshold for this common pest. To read more information about why the economic threshold for soybean aphid remains consistently at 250 per plant, read this webpage co-authored by many university entomologists. Finally, Matt shares a research update on the release of parasitic wasps that like to feed on soybean aphid. Is this 2007 all over again? 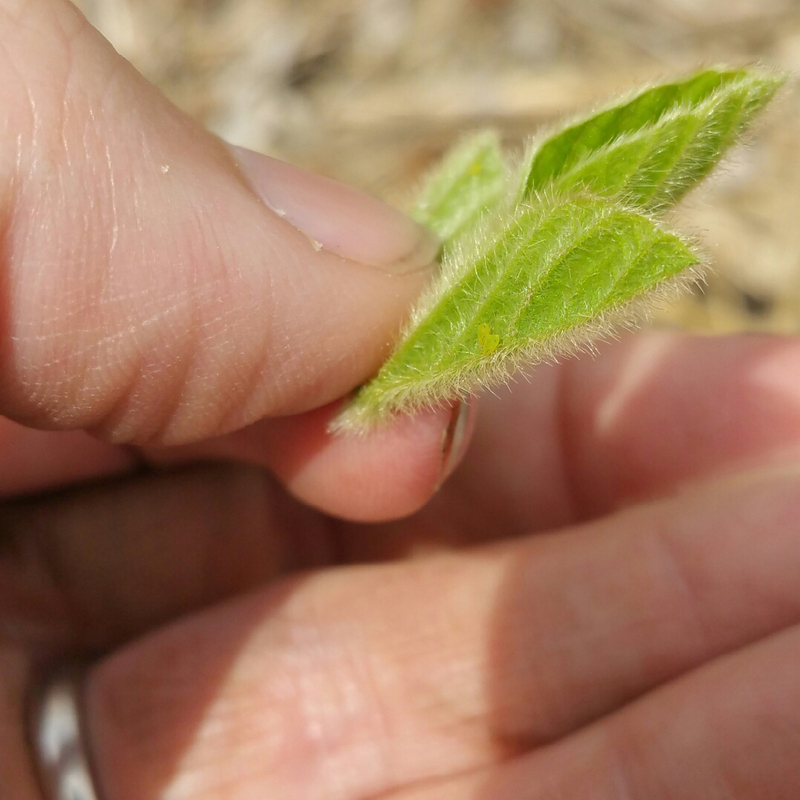 In this mid-June episode, Matt and Erin start off by summarizing current soybean aphid activity around the state of Iowa. Populations are showing up over much of northern Iowa the last two weeks. Some fields have approached infestations ranging from 10-50%, although the density per plant remains low. Under ideal conditions, these populations could exceed the economic threshold in a few weeks. Brian Lang also found an aphid mummy, which is also early compared to most summers. Erin talked about a new publication for European corn borer that is available at the ISU Extension Bookstore. The 12-page pub reviews identification, life cycle, plant damage, scouting and treatment recommendations for this devastating pest. In their new segment, Matt talks semantics about how to spell one of the most widely recognized insects in the world. In this second episode of Season 9, Matt and Erin bounce around a variety of topics. First, Matt provides an update on the neonicotinoid ban in Europe. Neonics have been temporarily banned in Europe for a few years because of risk to honey bees, bumble bees and wild bees. In February, more news came out that supports these risks to pollinators. A vote will happen soon that could possibly permanently restrict or ban neonic use in Europe. Then, Erin reminds us ticks are active in Iowa right now, so beware of these disease vectors if you are in areas with tall vegetation. Over 250 cases of Lyme disease and 17 cases of Rocky Mountain Spotted Fever were confirmed in Iowa in 2017. Send your ticks in for ID at the ISU Plant and Insect Diagnostic Clinic. Thanks, Andy, for the honey drop off! Learn more about Meadow Blazingstar honey and candles here. Ever wondered what your state insect? Look at the Wikipedia list. Why doesn't Iowa have a state insect?